Hundreds of families in South Tongu, Ketu-North and Ho municipalities of the Volta Region were rendered homeless, a rainstorm swept through some communities in the three districts, over the weekend. 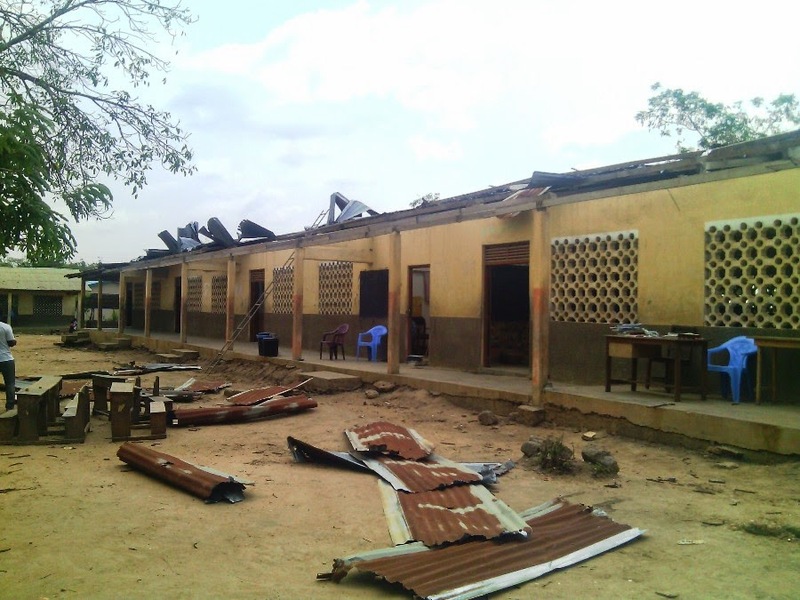 Roofs of some basic schools were also ripped off, disrupting educational activities in the affected communities. According to information from the National Disaster Management Organisation, (NADMO) the rain storm swept through Hodzo in the Ho municipality days earlier and destroyed the roof of a 6-unit classroom block in addition to few individual houses. Similar destructions were experienced at and Devego in the Ketu-North district, the storm hit there and South Tongu district on the Saturday. Three communities, Agbagorme, Agbakorpe and Lakpo were worst affected, with 92 homes and three schools destroyed. The storm, according to reports, nearly claimed the life a pregnant woman at Agbagorme when she was hit by a fallen block from her building, which left her unconscious for hours, before being resuscitated at a hospital in Sogakope. 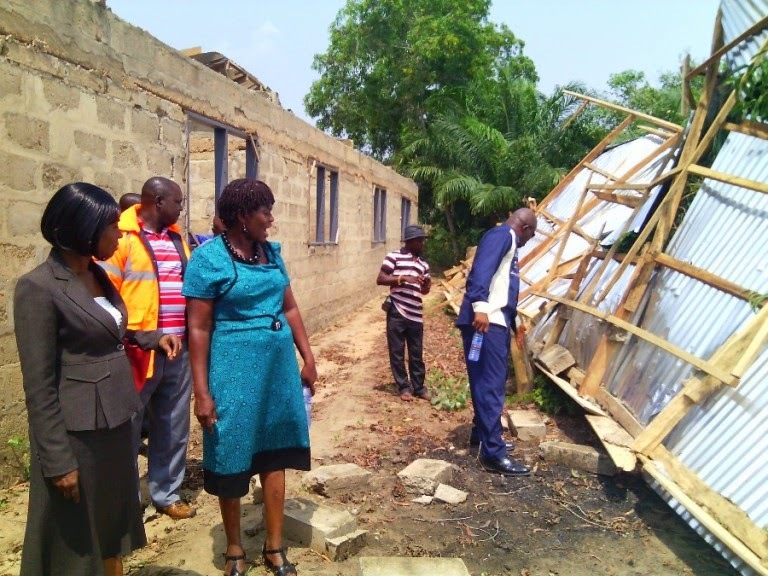 Headteacher of Agbakorpe R.C Primary School, Augustine Dzotorgbe whose school had a whole classroom block ripped off by the rainstorm, disclosed to VoltaOnline the disaster has damaged a lot of stationary and other teaching materials. The over 626 affected victims are currently putting up with relatives, as they awaits relief items from the National Disaster Management organisation (NADMO). Paschal Agbagba, Deputy Regional Coordinator of NADMO noted his outfit has forwarded an assessment report on the damages to the national headquarters for immediate assistance. Meanwhile the DCE for South Tongu, Samuel Mawuko Eworyie, who toured the affected areas, said the assembly will as a matter of urgency fix the affected schools for teaching and learning to continue. He also pointed to construction flaws in some of the homes destroyed by the rainstorm. He however assured affected residents; that the assembly will liaise with NADMO to support them with roofing sheets to enable them put their buildings.